Solutions Business Contract Hire #Representative Example for Arona SE Technology Lux 1.6 tdi 115ps based on 35 monthly rentals, 6000 miles per annum. These features are included on this specific vehicle / model only. Specification may vary, based on available stock. 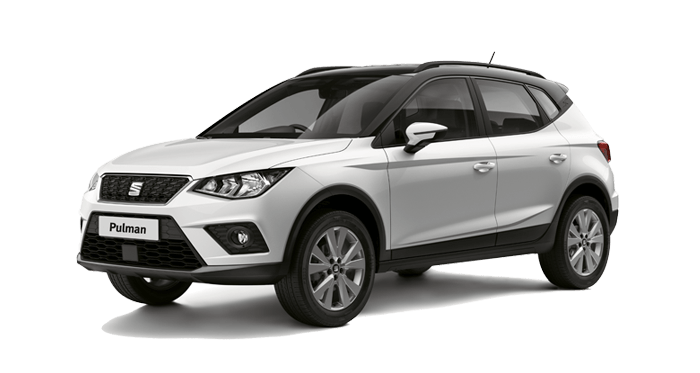 The specifications displayed are based on a Arona SE Technology Lux 1.6 tdi 115ps additional features may be included. ^Contract Hire Rentals without maintenance are based upon an initial rental in advance followed by equal monthly rentals thereafter an excess charge will apply if the contract mileage is exceeded. Rentals are subject to VAT at the prevailing rate and are subject to manufacturer price rises and changes in government legislation. At the end of the agreement the vehicle and ownership rights will stay with Volkswagen Finance. £141 (+VAT) and initial rental. Business users only. Based on 36 monthly rentals, 6000 mile per annum Contract Hire agreement with a customer initial rental of £846 (+VAT). 4p per mile (+VAT) excess mileage charges apply. Offer available for vehicles ordered and delivered by Apr 1, 2019 until Jul 8, 2019. Offers may be varied or withdrawn at any time. Further charges may apply when vehicle is returned, subject to the contract fair wear and tear guidelines and mileage. VAT payable at the prevailing rate. Finance subject to status. Available to 18s and over. Subject to availability.